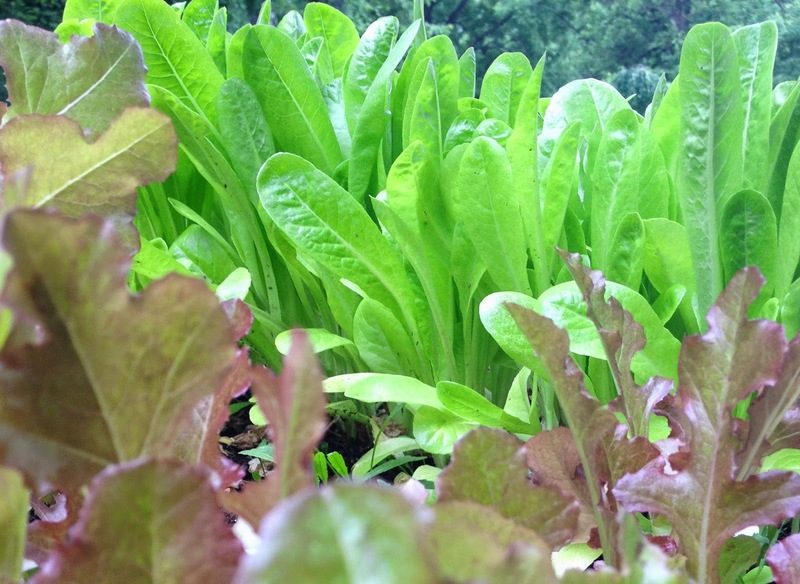 At this time of summer, most of us have already pulled out our spring lettuce, or are looking at plants that are bolting and tasting bitter. If you’ve still got some lettuce that’s salad-worthy, use it now! But if it’s on its way to flowering, you may still be able to eat it – if you’re willing to try lettuce soup. I tried it myself, a few weeks ago when I was facing way too much lettuce. It’s easy to overplant in early April, when the world is cold and you just want to see some green in the garden. 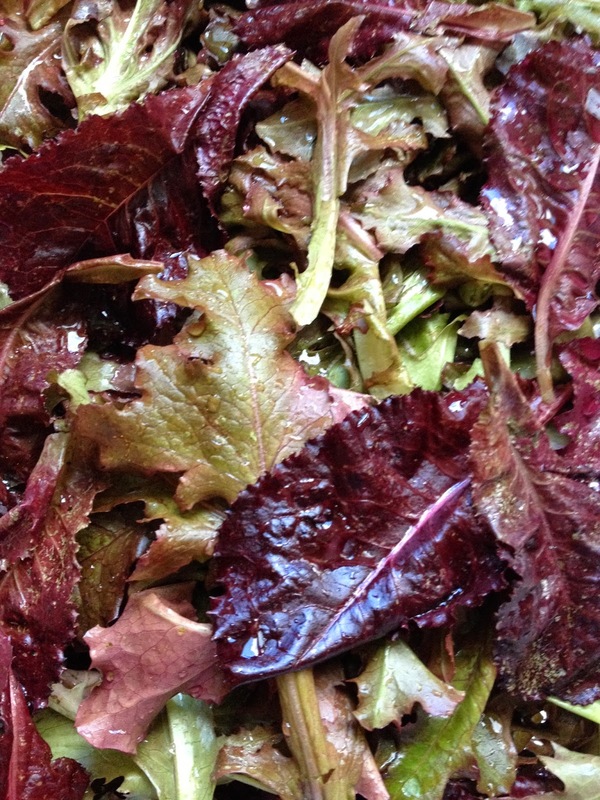 And most of the lettuces I grow are looseleaf cut-and-come-again types, so even if I hold back and plant a bit at a time, I still sometimes end up with ridiculous amounts in May and June, and start getting tired of huge salads. So, I harvested a large bunch and put it into soup. I’m not going to give you a recipe here, because there are many of them on the web that you can search for yourself. There are lettuce soups made with cream, with potatoes, pureed and not. 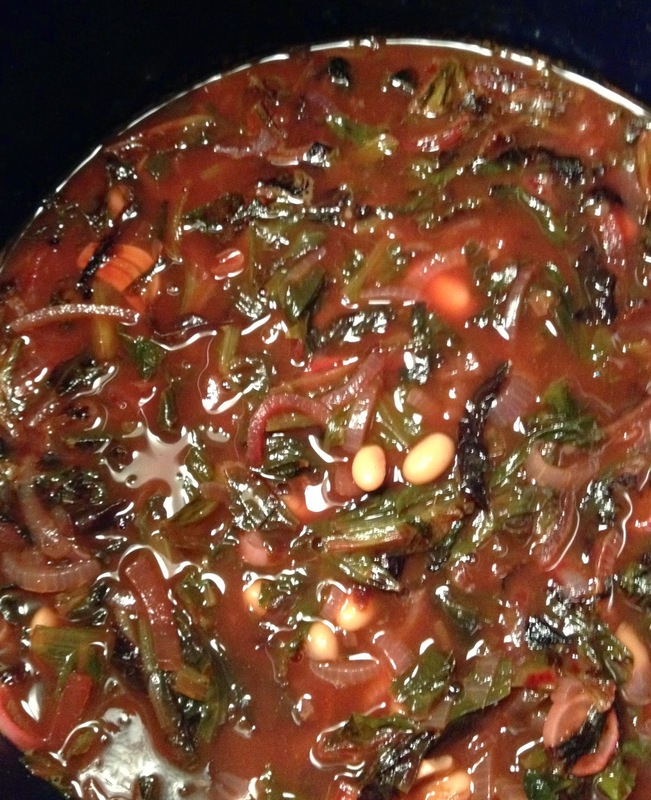 I chose to make mine with white beans, and the reason it’s red is that I added the water I cooked beets in. The idea was that I’d use all red lettuces, add some beet-redness, and blend it into a nice pink puree, thus avoiding the Olive Green Soup Phenomenon that has afflicted so many of my improvised potages. However, it turns out that when you cook red lettuce it goes green, so I was left with a red-green-white effect and decided not to blend it together after all. Lettuce soup is not exciting, but it’s just as edible as soup made with other greens, and you can spice it up as much as you want. And it’s a good way to avoid wasting food – use up that excess of lettuce, or lettuce that’s getting too bitter to eat fresh (just be prepared to balance the bitterness with a little sweet and sour in the ingredients: caramelized onions or carrots, lemon juice, sorrel, etc. etc.). It should also be possible to wilt lettuce by steaming it or cooking it briefly in oil or butter, and then freeze it for later soup use, but I haven’t tried this yet. If your lettuce has already bolted all the way to flower, it’s probably too late to soupify it, so either pull it out to make way for other plants, or let it bloom (it’s kind of pretty!) and save seeds from it for fall planting. When in doubt, soupify! (Someone needed to invent that word — thanks, Erica, for doing so.) I just found other uses for lettuce via a search engine — grilled romaine with blue cheese, lettuce sauce, and stir fried.